Pictured three year old boy, Finn Williams with his parents, Dr Katy and Sam Williams. 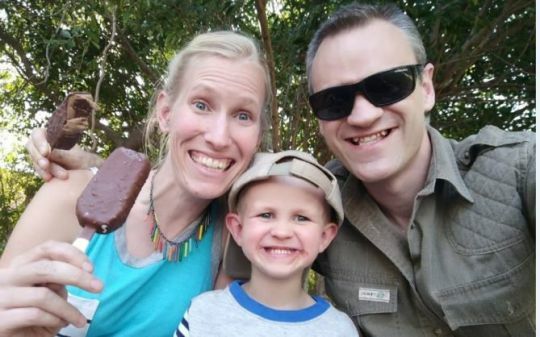 Blyde Wildlife Estate giraffe attack: Pictured three year old boy, Finn Williams with his parents, Dr Katy and Sam Williams. Blyde Wildlife Estate giraffe attack: Finn Willams a three year old boy and his mother are in critical condition after being trampled by a female giraffe protecting her new born calf. A mother and her three year old son are fighting for their lives after being attacked by a giraffe while at a national reserve in South Africa. South Africa’s Citizen reported the animal being with a two month old calf when it attacked three year old boy Finn Williams and the child’s mother upon likely feeling threatened according to nature officials. Mother and son were spared after the female mother giraffe was chased off by Dr Katy Williams‘ UK scientist husband, Sam – who witnessed mother and son being trampled upon. Both Sam and Katy are said to have extensive post PHD experience in animal related fields. Blyde Wildlife Estate giraffe attack: pictured the South Africa reserve near Hoedspruit. Blyde Wildlife Estate giraffe attack: ‘an unfortunate act of nature’. Local media reported the incident taking place at the Blyde Wildlife Estate near Hoedspruit where both husband and wife live and worked, Monday night. The attack occurred just 150 yards from the family home. A spokesman for ER24, which sent paramedics to the scene, said both the mother and boy suffered ‘numerous serious injuries’ in the attack at about 6pm on Monday. Finn was airlifted to Busamed Modderfontein Hospital in Johannesburg, with US born, Katy following suit in a second helicopter. The youngster has had surgery to release pressure on his brain, and his mother has also had an operation, paramedics said. Both mother and son are in stable but critical condition. 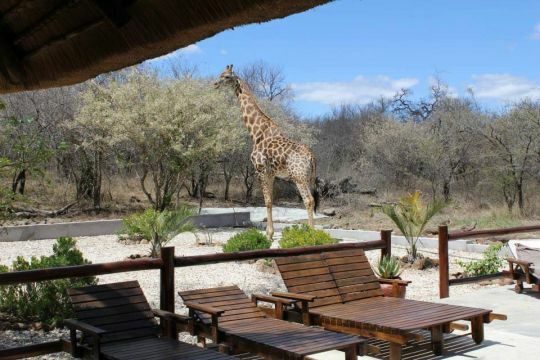 The incident follows a similar attack earlier this year, when a cameraman on British TV show Wild at Heart was killed by a giraffe as he filmed at the Glen Africa game reserve in Broederstroom in North West Province. South African film maker Carlos Carvalho, 47, was knocked 16 feet through the air when the giraffe slammed into him with his neck and died of his injuries later in hospital. Giraffes grow up to 19 feet tall and can weigh over a ton and are the world’s tallest mammal and males become aggressive in mating season and females web protecting their young. 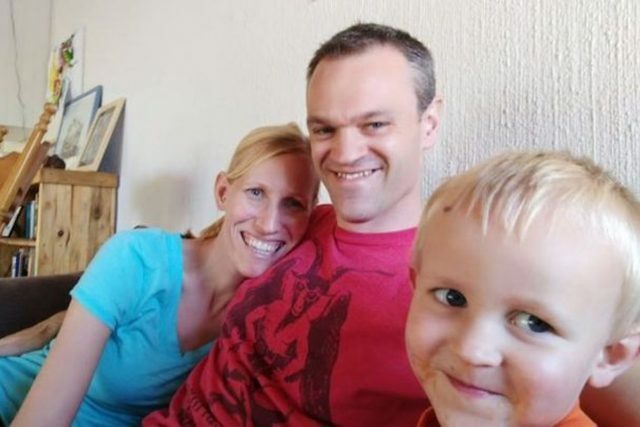 Blyde Wildlife Estate giraffe attack: Pictured, Dr Katy Williams, Dr Sam Williams and the couple’s three year old son, Finn Williams.